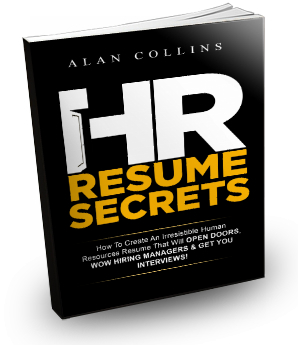 HR Resume “Gimmicks” That Don’t Work — Avoid These! Let me jump right into this. …A resume attached to a cereal box. (Submitted by a candidate for an HR manager’s position at Quaker Oats). …A bright green resume with the candidate’s picture on it drinking Gatorade. (Obviously, someone hoping to stand out when applying for a Gatorade HR director’s job). …A resume contained in an egg carton with faux eggs with a message inside saying “I can deliver fresh candidates for you daily.” (Thoughtfully provided by a candidate for a position in Staffing & Talent Acquisition). …A resume packaged with a bunch of colored sticky stars that fell out when opened, along with a cover letter saying “HIRE A STAR” on top. …A resume printed on a slightly oversized (20” x 24”) poster board. …An express mail box containing the candidate’s resume along with a bottle of expensive wine and a gift certificate for dinner. This bribe…er, gift, though tempting, was returned. Sad, but true. …Video resumes from numerous candidates. Out of curiosity, I viewed one once. Never again! I watched as the content of the actual resume crawled across the bottom of the screen at a frenzied pace. It was a stunning, high-tech visual presentation. But at the end of the video I realized that I had just wasted 5 minutes of a busy work day watching a freakin’ movie. Meanwhile, I retained none of the applicant’s pertinent information and there was no way for me to access the resume content in this video without committing to viewing it again or transcribing it. So I trashed it. (Sorry if you’re reading this). I could provide more examples, but hopefully you get the point. Some of these zany approaches will definitely attract attention. 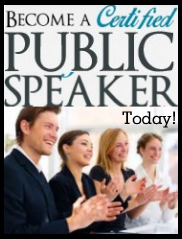 And in return, they will elicit a reaction — positive or negative. 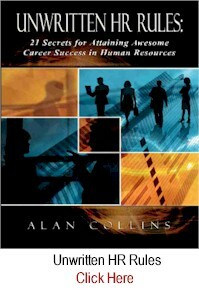 However, if you don’t know how the resume reviewer will react, why run the risk of rejection right off the bat? As a rule of thumb, unless you’re applying for position in Marketing or the company’s most innovative division, most overly creative, offbeat resume tactics simply DON’T work. 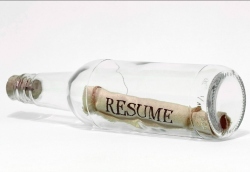 While a bizarre resume format may get you a few more seconds of eyeball time during the screening process, it will also prevent your resume from making it through electronic filtering tools used by the bigger corporations. 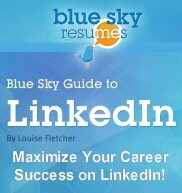 Recruiters prefer things that are familiar and make their jobs easier…not tougher. 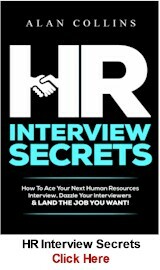 Most times, they aren’t looking for the most creative HR candidate; they’re simply looking for the best fit. So do them a favor…and just give them what they want in EXACTLY the format they request — concise and targeted to their needs and the job. 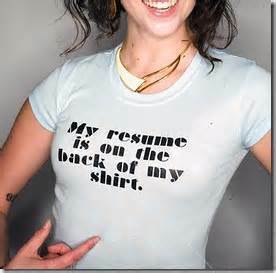 …YOU NEED A BETTER RESUME! And that comes from focusing more on your “selling points” and less on tricks and games. So don’t be lazy, forget the gimmicks. 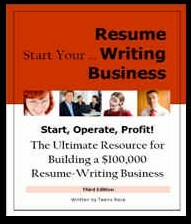 Just take the time to prepare a better resume. Comments, thoughts and push-backs? Share them by adding them in the comments below by clicking HERE. 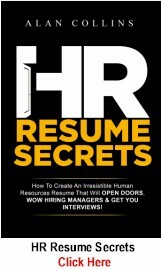 This article is a brief excerpt from my book: HR RESUME SECRETS: How to Create An Irresistible Human Resources Resume That Will Open Doors, Wow Hiring Managers & Get You Interviews! 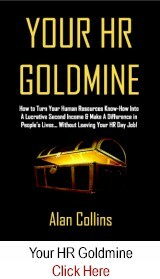 You can get MORE FREE EXCERPTS from the book by CLICKING HERE. 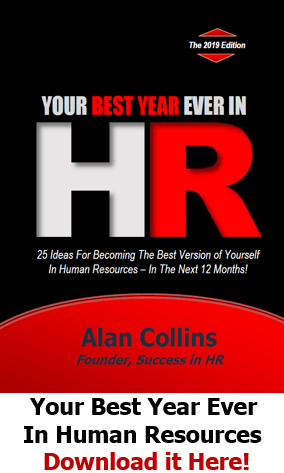 About the Author: Alan Collins is Founder of Success in HR, Inc. and the author of a variety of best selling HR books including HR RESUME SECRETS. He was formerly Vice President – Human Resources at PepsiCo where he led HR initiatives for their Quaker Oats, Gatorade and Tropicana businesses. Alan, I agree 100%. While some might think it is “cute”, it will not be taken as serious or professional. While VP of HR of an oil related company I received a resume along with a small box. The resume said “I can find oil for you”. Oil was leaking from the box all over my desk. The bottle inside the box had cracked. Another resume was on a 11’x 13′ poster board with a picture of a man and his son dressed up as magicians with a quote saying “I can perform magic for you”. Neither of these individuals were phone interviewed. Wow – Great stories Chuck! Thanks for sharing such great examples and helping to drive the point home. 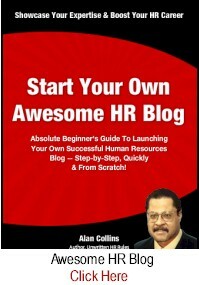 Alan I really enjoyed that article and I like the spin you put on what networking really is. It is something I struggle with I am definitely going to take these points on board. You are absolutely right, Alan. 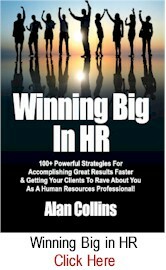 Rewarding relationships are built over time, not merely over a day’s event or meeting. Networking is therefore an investment that should be nurtured with positive gestures amongst colleagues and friends. It matures over time and sometimes can yield a favorable outcome. Hear, Hear, Alan! It wasn’t until I started giving to, rather than pushing myself onto, people that I started to see offers of help from others. I’m now a true believer in “what goes ’round, comes ’round”. Thanks for articulating it for us. Thank you so much, Alan. That just opened up the door in my mind. 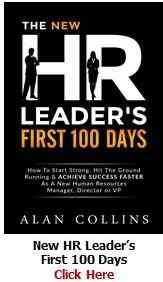 So blessed to have read your understanding of service with HR, exactly what it is to serve others. Only, I did not know how to deliver verbally. Great article and totally valid concept. Your description of the right approach is the reason my business has been successful. 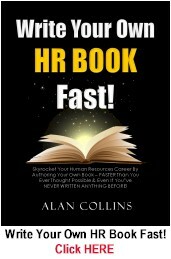 The only add I can make is for HR people to not limit their exposure to only other HR professionals. 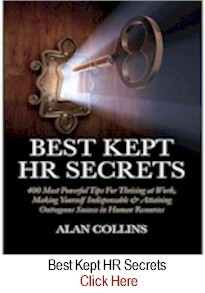 Just about all my referrals come from outside the HR community. I have completed all of the above. I used networking and agree that it does not work. 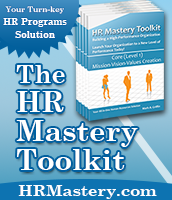 I have discussed the Organization and made incredible suggestions on I could be an asset. Everyone has been nothing less than kind and cordial. I realize that I may sound like a negative complainer but the truth is the truth. My wife says that once when they see me they see an “old man”. I try to argue with her, but I beginning to believe she is correct.